Obtaining a “green card” – indicating lawful permanent residency in the U.S. – is the primary goal of our clients who are planning to enter this country. Having lawful permanent residency enables you to live and work in the U.S. indefinitely. The permanent resident status will also eventually allow one to obtain the U.S. Citizenship. However, because obtaining permanent residency has become more complicated since 9/11, applicants increasingly need help navigating the process. We can assist you in obtaining permanent residence through the categories listed below within two main types of permanent visas: Employment–based immigrant visas and family–based immigrant visas. If that is your goal, too, please contact Shrestha Law Firm, PLLC today to arrange a consultation and to learn how we can help you. Persons in this category are allowed to file for permanent residency (green cards) and do not need to file labor certification application. Thus, beneficiaries in this group enjoy the highest priority among all employment–based green cards. Individuals with extraordinary ability may self–petition. All other EB–1 petitions should be filed by your employer. Either you or your employer should file–in Form I–140, the Petition for Alien Worker with the USCIS Regional Service Center that has jurisdiction over the location of your employment. This form should contain all necessary documents and evidence. Labor certification is not required for EB–1 petitions. As an outstanding professor or researcher, you should be internationally recognized in your field. You should be coming to the U.S. to accept a tenure track position, and you should have had at least three years experience in your academic field. To be eligible for EB–1 classification as a manager or executive transferred to the U.S,, you must have been employed outside the U.S. as a manager or executive for at least one out of the past three years. The company you work for must have been seeking to enter the U.S. to conduct business during that period of time. Exceptional Ability in the Sciences, Arts or Business, or. Your employer should file–in Form I–140, the Petition for Alien Worker with the USCIS Regional Service Center that has jurisdiction over the location of your employment. This form should contain all necessary documents and evidence. Labor certification (Form ETA–9089) is also required for most EB–2 petitions. Individuals with exceptional ability in the sciences, arts or business may apply to waive the labor certification requirement if a waiver would be in the national interest. To apply for this waiver, you should file–in Form ETA–750B. A petition for a foreign national holding an advanced degree can be made when a position requiring an advanced degree becomes available in the U.S. Interested candidates must show proof of their education and at least five years work experience. Proof of academic achievement, including diplomas, degrees or certificates from colleges or universities. Letters that prove you have at least ten years of full–time experience in your field. A license to practice your profession or certification in your specialty. Proof that you have received a worthy salary for your services. Recognition in your field from peers, government officials or organizations. If you cannot provide documentation of three of these requirements, other documents may suffice. The alien physician self–petitioning for EB–2 on his own can show his entry into the U.S. is in the national interest. In the alternative, the alien physician can also qualify for NIW by working for a total of five years as a full-time clinical physician either at a facility operated by the Veteran's Administration or in an HHS-designated Medically Underserved Area (MUA)/Health Professional Shortage Area (HPSA). Such alien-physician must have a five-year contract with such agencies. Unskilled workers who can contribute abilities unavailable in the U.S. Your employer should file–in USCIS Form I–140 Petition for Alien Workers with the USCIS Regional Service Center that has jurisdiction over the location of your employment. EB–3 petitions also require an approved Labor Certification (Form ETA–9089) from the Department of Labor. Skilled workers should have at least two years experience, either through hands–on experience or through post–secondary education. Professionals should have either a U.S. bachelor’s degree or a foreign equivalent degree. Generally, an employer (petitioner) sponsoring an employee (beneficiary) in either EB–2 or EB–3 must complete a labor certification request by filing (Form ETA 9089) for the beneficiary, and file it with the Department of Labor’s Employment and Training Administration. Department of Labor will either approve or deny the certification request. The labor certification typically involves satisfying by the employer that its potential employee is not taking a job from a U.S. worker. In certain circumstances, the employer and the potential employee may be able to show that the potential employee’s entry to the U.S. for the job in question is in the national interest. Both the job and labor certification process will then be waived on the basis of national interest. Labor Certification process can be time consuming, as various steps, e.g., prevailing wage, documentations, testing of U.S. job market by advertisements and SWA job orders of the job are needed. Bona–fide job offer and good faith effort to recruit qualified U.S. workers are key elements of the application process. U.S. employers must test the job market and conclude in good faith that no U.S. workers are ready, qualified and available for the job. We can work with employers on this process. After the permanent application for labor certification is approved or certified, an immigrant visa petition, Form I–140 will then be filed with the USCIS by the employer to bring the applicant into the U.S. However, if the applicant is already in the U.S., he or she can apply to adjust his status to that of permanent resident by filing Form I–485 along with the I–140 with the appropriate USCIS regional office. Afganisthan or Irag national who supported the U.S. Armed Forces as a translator. Iraq national who worked for or on behalf of the U.S. Government in Iraq. This category must file Form I–360, Petition for Amerasian, Widow(er), or Special Immigrant, concurrently with a host of other forms depending on their needs with the USCIS serving the area where the immigrant will reside or work. A self–petitioner (especially 1–3) must establish his/her eligibility for the visa category. Details of events and adequate corroborating documents are the key to the approval of petition. Religious organization (this requires a bachelor’s degree or its equivalent). In general, along with submitting Form I–360, you should provide the following documents. Proof that your religious organization is a non–profit organization. Submit a proof showing that the petitioner is a tax exempted entity. A letter from an official of your religious organization in the U.S. stating that you have been a member of the denomination for at least two years, and that you have at least two years experience in your vocation or occupation. The letter should also state certain details about your particular type of vocation/occupation. This letter should also state how you will be paid for your work, and that you do not intend to supplement your income with a second job, or depend on charity for support. Under section 203(b)(5) of the Immigration and Nationality Act (INA), 8 U.S.C. Â§ 1153(b)(5), 10,000 immigrant visas per year are available to qualified individuals seeking permanent resident status on the basis of their engagement in a new commercial enterprise. There are three basic programs: the Regional Center Pilot Program, the $1,000,000 investment and the $500,000 investment in a targeted area, which are described below. The key difference between them is that the Regional Center is a totally passive investment where the investor does not hire any employees or run the business, while with the $1,000,000 and the $500,000 targeted investment, the investor must hire 10 employees and actively manage their investment. Demonstrate that a “qualified investment” (see below) is being made in a new commercial enterprise located within an approved Regional Center; and show, using reasonable methodologies, that 10 or more jobs are actually created either directly or indirectly by the new commercial enterprise through revenues generated from increased exports, improved regional productivity, job creation, or increased domestic capital investment resulting from the pilot program. Permanent resident status based on EB–5 eligibility is available to investors, either alone or coming with their spouse and unmarried children. Eligible aliens are those who have invested âˆ’ or are actively in the process of investing âˆ’ the required amount of capital into a new commercial enterprise that they have established. They must further demonstrate that this investment will benefit the United States economy and create the requisite number of full–time jobs for qualified persons within the United States. Maintain the number of existing employees at no less than the pre–investment level for a period of at least two years, where the capital investment is being made in a “troubled business,” which is a business that has been in existence for at least two years and that has lost 20 percent of its net worth over the past 12 to 24 months. Creating employment within a targeted employment area. Once the Form I–526 is approved, immigrant investors may obtain status as a conditional resident by filing Form I–485, Application to Register Permanent Residence or Adjust Status, if residing within the United States. If the immigrant investors reside overseas, they must go through consular processing and obtain visa at the US Embassy or Consulate Office in their country. In order to become a lawful permanent resident, eligible investors must file a Form I–829, Petition by Entrepreneur to Remove Conditions. Form I–829 must be filed within 90 days before the second anniversary of an Alien Investor’s admission to the Untied States as a conditional resident. 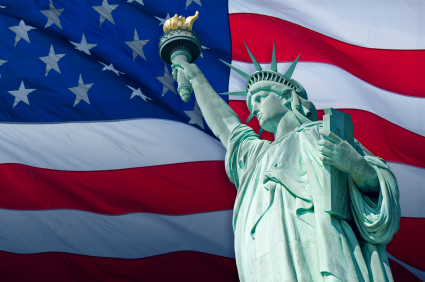 Permanent immigration in the U.S. comes with a variety of rights and privileges. One method to obtaining lawful permanent residency is through a relative who is either a citizen of the U.S. or a lawful permanent resident. First Preference: Unmarried children over the age of 21 of U.S. citizens. Second Preference: Spouses of lawful permanent residents, their unmarried children under the age of 21, and unmarried children under the age of 21 of lawful permanent residents. Third Preference: Married children of U.S. citizens. Fourth Preference: Siblings of adult U.S. citizens. Your relative should first submit an immigrant visa petition, I–130 Petition for Alien Relative. This form should be accompanied by proof of your relationship to your relative. Upon approval of this petition, the Department of State will determine if an immigrant visa number is available for you. When a number becomes available, you may apply for assignment of that number. You are a citizen or a lawful permanent resident of the U.S.
You can support your relative at 125% above the mandated poverty line. You must also show proof of your relationship with your relative. International adoption is a big issue to Americans of varying backgrounds. However, the process can be cumbersome, long, tedious and costly. Good and early planning before getting into it is what anyone planning adoption needs to undertake. Better understanding of the cumbersome process, obligation and eligibility is crucial. U.S. Immigration law allows three methods for U.S. citizens to bring future spouses or spouse to the United States: the K–1 Fiance Visa, K–3 Alien–Spouse Nonimmigant Visa and the Alien–Spouse Immigrant Visa. The K–1 Visa. and K–3 generally take less time to process than the Alien–Spouse Visa. The Alien–Spouse Visa, however, is a proven path toward lawful permanent residency for your spouse. Unlike K–1, for K–3 and Alien–Spouse Visa, a marriage is prerequisite. For K–3, an I–129F petition must be filed and approved in the United States and later complete the Consular Processing at the Post for the issuance of a K–3 visa. For, an Alien–Spouse Visa, if the marriage takes place abroad, an I–130 petition should be filed after the marriage. This petition should be filed either with USCIS in the United States, or at a U.S. Embassy or Consulate abroad. Please contact USCIS or the appropriate foreign service post for details about what specific documents you will need to file an immigrant petition for a new spouse. Also, the law requires that an applicant must apply within 1 year of arriving in the U.S. otherwise, applicant must show either extraordinary circumstances or changed circumstances in his or her home country. You should apply for lawful permanent residency on Form I–485, application to Register Permanent Residence of Adjust Status. You must have been in the U.S. on an asylee status for at least one year. In order to obtain an asylee status for your spouse or under age children, a Form I–730 must be filed for each family member within two years from the time your asylee status is granted by the USCIS or an Immigration Judge. For professional help, contact the law office. Shrestha Law Firm, PLLC, (212) 625-3394, fax: (212) 431-4460, info@shresthalaw.com | Base Content Copyright © 2019 Market Hardware, Inc.